Konnichiwa! Jack concluded his four-day swing through Asia with a site visit to Tokyo Classic, formerly known as Chiba National. 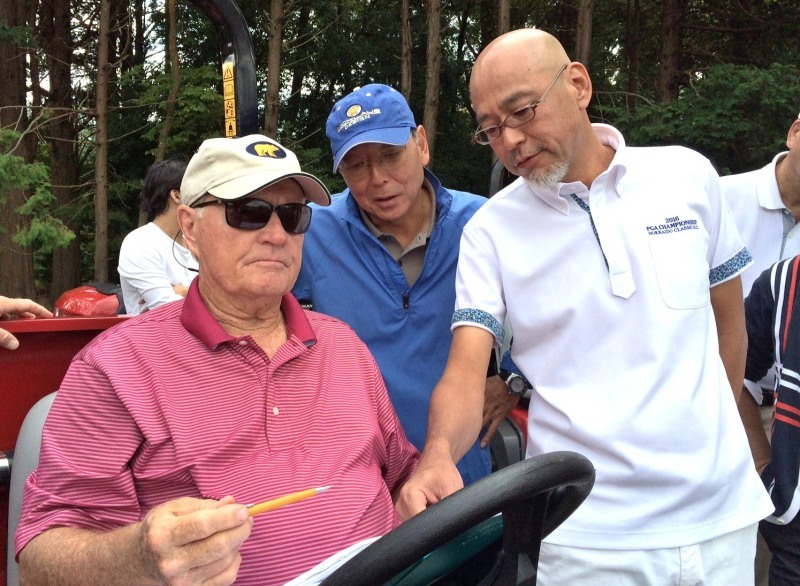 For more than five hours, the Golden Bear twice toured all 18 holes of the heavily treed, rolling terrain with the design teams from Nicklaus (including Senior Design Associate Chris Cochran) and Classic, led by owner Yugi Nishimura. Tokyo Classic is expected to be completed by late spring 2015 and officially opened in October 2015.